Food holidays are one of my favorite things. Nearly every food, drink and ingredient that you can think of likely has its own assigned day throughout the calendar year. Today is #nationalpearday and I don’t know about you, but I feel like pears are the forgotten fruit of the fall. They used to just be overshadowed by apples and pomegranates, but since the creation of everything pumpkin spice we pretty much go from summer to pumpkin spice to holiday cookies. 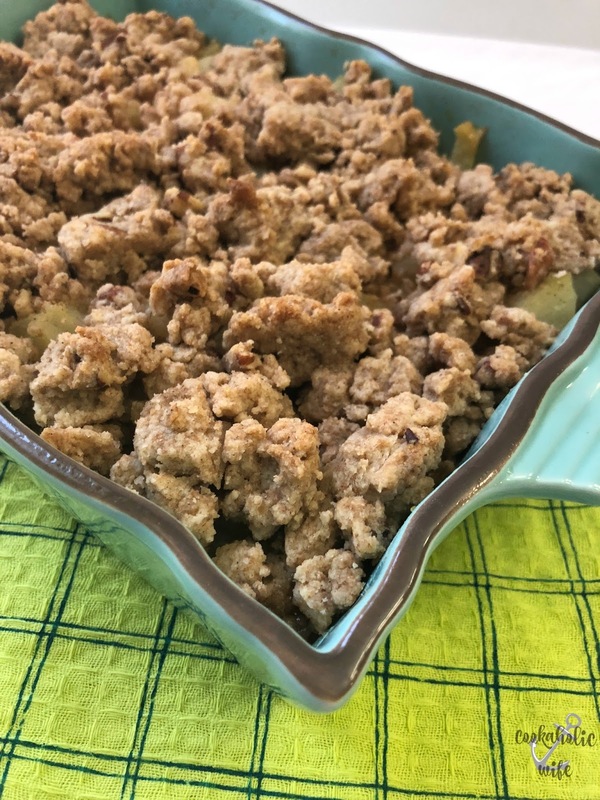 But today, myself and some other bloggers are celebrating the tasty pear and showing off some recipes in which you can use them. I have quiet a few pear recipes saved and I debated on making cupcakes or a pie, but then I came across a recipe for an apple crumble and thought that I’ve never had a pear crumble before so it was high time to make one! Seasoned with cardamom, this pear and pecan crumble is great for breakfast or dessert. Preheat the oven to 350 degrees. Spray an 8×8 baking dish with cooking spray. 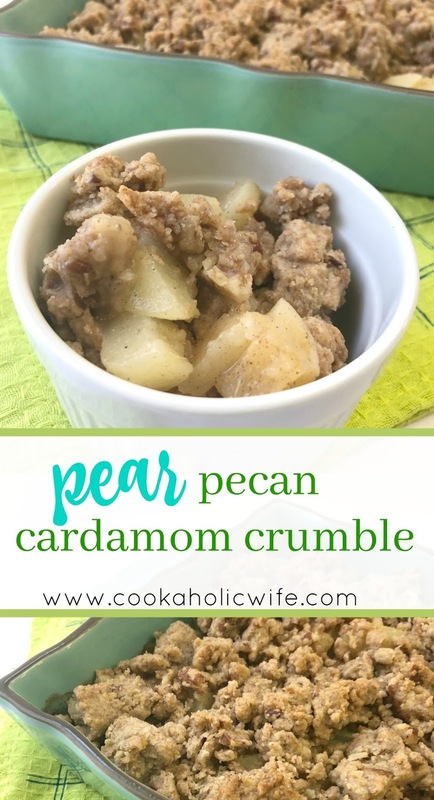 Combine the pears, sugar, cardamom and salt in a medium bowl. 3.In another bowl, stir together the butter, flour, brown sugar, pecans and cinnamon until a crumbly mixture forms. 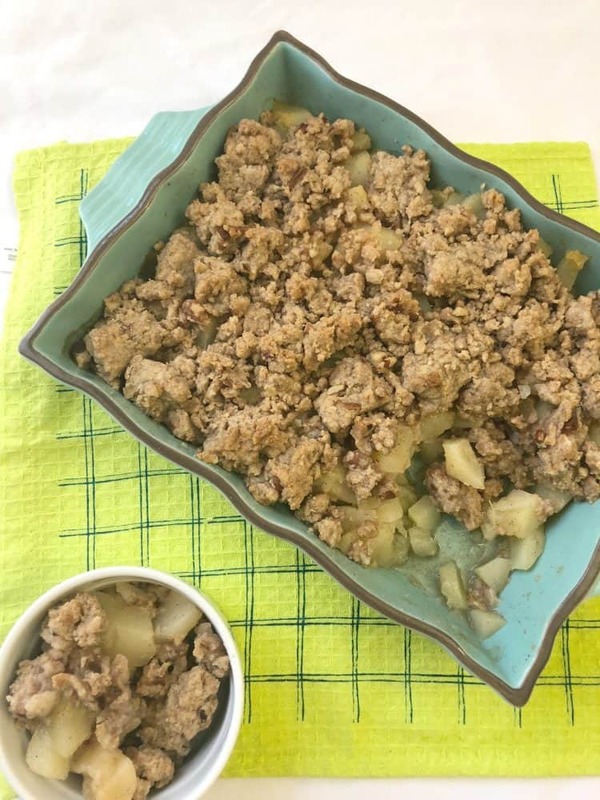 Drain any excess liquid and transfer the pears into the prepared baking dish. Pour the crumble on top and spread into an even layer. Bake for 30-35 minutes or until the crumble is golden brown. Allow to cool before serving. Possibly with a scoop of vanilla ice cream? Cardamom…is there any better of a smell than cardamom? I have a serious crush on this spice and love the fall season when I get to use it in tons of dishes. I nearly pulled the cinnamon out of the cabinet for this recipe, but the gleaming silver lid of my cardamom container caught my eye and my eyes lit up, knowing that I could use that spice instead! 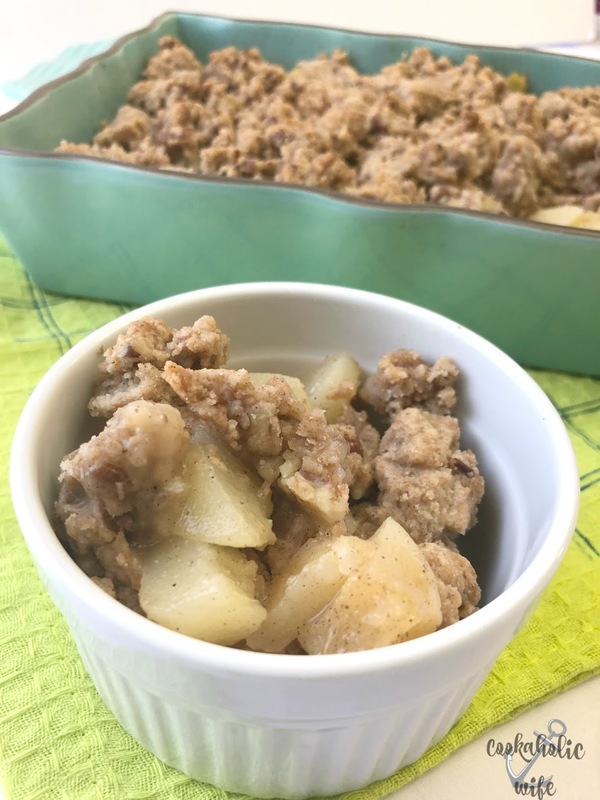 I'll bet that crumble was amazing and that the cardamom flavor perfectly accented the pears. Thanks for sharing Nichole. I, too, have a crush on cardamom. Nice dish, Nichole! Thanks for sharing.